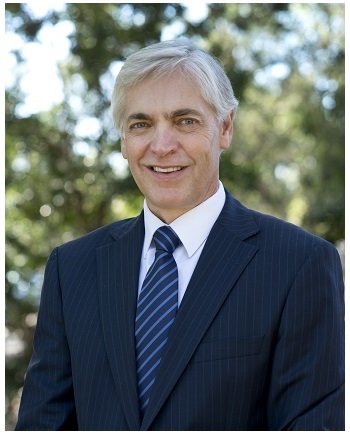 Professor Sakkie Pretorius joined Macquarie University in July 2013 to take up the role of Deputy Vice-Chancellor, Research. Professor Sakkie Pretorius is Deputy Vice-Chancellor (Research) at Macquarie University. He is internationally recognised as a pioneer in molecular microbiology and biotechnology and in translating research outcomes to innovative industry applications. Professor Pretorius joined Macquarie University in 2013. In 2014 his passion for academic excellence and research that creates both value and opportunity for staff, students and the broader community drove the creation of the University's strategic research framework, World-leading research; World-changing impact. The framework, which will shape Macquarie's research priorities over the next decade, built on the Our University: A Framing of Futures project. Originally from South Africa, Professor Pretorius studied agriculture at the University of the Free State from 1977 until 1986, when he was awarded a PhD for his work on physical, genetic and biochemical characteristics of yeast. He was appointed Professor of Microbiology at Stellenbosch University in 1993, where he later became the founding director of South Africa's Institute for Wine Biotechnology. By identifying some of the unique characteristics of South African wine production during his ten-year tenure he was part of the team involved in the refooting of the technology of wine production in South Africa. Professor Pretorius' role in this team enabled the burgeoning South African wine industry to grow its production and market presence significantly and attract global recognition for the quality of wines from the region. Passionate about authentic leadership, prior to taking up his role at Macquarie, Professor Pretorius held the role of Deputy Vice-Chancellor and Vice-President: Research and Innovation at the University of South Australia. Prior to this he was the Managing Director and CEO of the Australian Wine Research Institute. In 2014 Professor Pretorius was able to leverage his extensive expertise in wine yeast genetics to help bring the Yeast 2.0 project to Macquarie University. The ground breaking project involves creating the world's first-ever synthetic complex organism and will open the door to both more robust synthetic biology research at Macquarie as well as applications including more ecofriendly biofuel production and better targeted medication. Professor Pretorius' reputation for excellence extends to the US and Europe, where he has held a series of prestigious part-time and honorary positions. He conducted molecular yeast genetics research at the Albert Einstein College of Medicine in New York, the Max Planck Institute for Biophysical Chemistry in Gottingen, Germany and the Katholike Universiteit in Belgium. He has previously been an Adjunct Professor at the University of British Columbia and the University of South Australia.